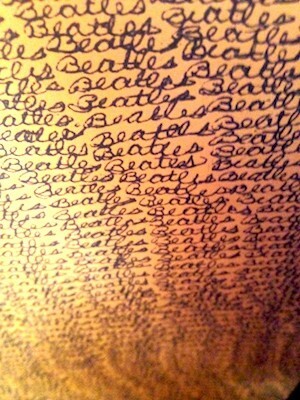 I just finished reading the nearly 1,000 pages of The Beatles The Biography by Bob Spitz. What a treasure. I’ve known most of their music since before I could talk, in fact my grandmother would always remind me that as a toddler I would play “Hey Jude” incessantly, and imitate the song singing “Hey Juuuuuuuu….”. I’ve always known The Beatles story, their rise to super-stardom, and of course their music. Especially as a kid, I remember hearing about how in their early years they were so rebellious, with their “long hair”, and their music that some people called noise. Well, coming into The Beatles after the fact, and knowing them for their hippie hairdos, beards, and eclectic later recordings, their early days didn’t seem quite as dangerous to me. Well, this book explains why they were considered so rebellious in those early years, and paints a good picture of what post WW2 England was like in the early 1960s, how BBC radio wasn’t playing American rock and roll, and why Liverpool would become a thriving and influential music scene. My favorite part of this book was the descriptions and stories of those early years. The insights into where each of the Beatles (and their families) came from, the early fascination with Radio Luxembourg, the evolution of the band and members (The Quarrymen, The Silver Beetles, The Beatals), and their days in Hamburg. 300 pages in, and they hadn’t even met George Martin yet. I was also struck by the impressions of our beloved John Lennon, his personal tragedies, and how he struggled with his fame, personal relationships, and his darker side. 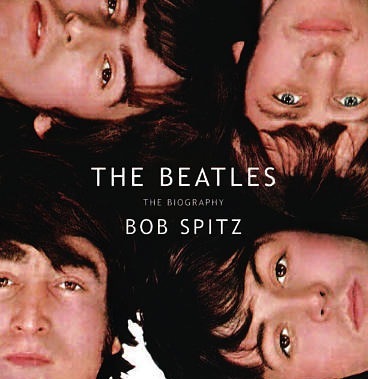 Of course this is all Bob Spitz’s narrative, but he does bring to light many lesser known stories of Lennon, Paul McCartney, Ringo Starr, and George Harrison, and gives us plenty of glimpses into their worlds.